This has been our mantra right from the beginning of our work in 2008. We have sought to transform access to diarrhoea treatment in Zambia – and ultimately the rest of the world – by helping others to do what they already do, better. So many well intentioned development efforts fail, as soon as donor support ends, because the solution creates a dependency on the organisation funded – that can often be from outside the country, community or system. See for example: Cholera and chlorine – two stories from Zambia. 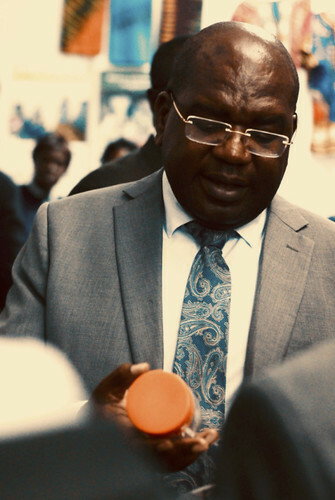 The primary focus of the donor-supported phase of our work in Zambia was to create and develop the market for Kit Yamoyo, in both the private and public sectors. The theory is that having developed the market and supported local systems to be able to deliver to the market, we can withdraw and the solution we have helped create will be self-sustaining. Now that this work is complete, we are monitoring things carefully for signs that the solution we’ve helped put in place is indeed self-sustaining. One of the foundations of self-sustainability is evidence of local ownership of the solution. Already, there is strong evidence of local ownership and pride in the solution in Zambia: Pharmanova – the local manufacturer – has taken on the role of product marketing with considerable zest and flair. They have done this with their own budget, with no input from us, although they are polite enough to keep us informed of what they are doing. 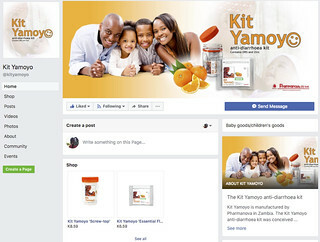 They have transformed the Twitter and Facebook pages. This advert is now being aired on Diamond TV six times a day. You can also view it on YouTube here. 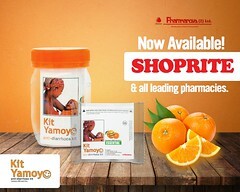 They have also produced this short video about the two Kit Yamoyo formats. You can view this on YouTube here. 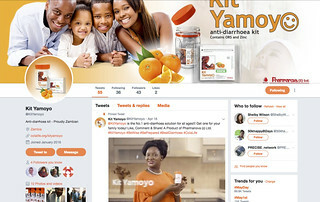 In addition to the social media and TV marketing, Pharmanova used the recent National Food and Nutrition Summit, held in Lusaka on 24 and 25-Apr-18. 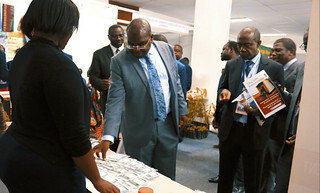 The Hon Minister of Health, Dr Chitalu Chilufya was one of the visitors at the Pharmanova stand, where the public sector format and commercial formats were centre stage. Pharmanova have also produced tailored posters for all the supermarket chains in Zambia. This is all very encouraging for ColaLife and our donors – because we are nowhere to be seen!